We now want to share the opportunity for high end businesses that really want the exposure our website success.Read more for info on what it entails. Above you see the stats and you can go there yourself to see how legit it is it even has facebook and google listed as 1 and 2 top ranking. If you know our site it holds some spicy photos of not only tattoos but Music,Photography and a Mammoth network to share your product,name or brand with.Our job is to get them to your page and how you handle it is up to you. I can give you some tricks that will allow your site to attract more spiders when people are searching for items. Front page ad placement for one year 400 bucks!!! and I will get in touch with you within 24 hours to discuss plans and designs. 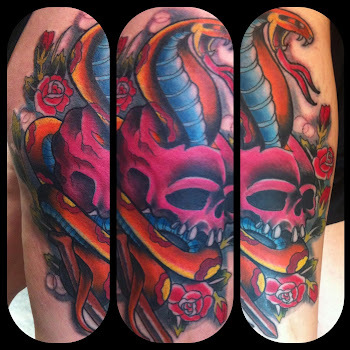 Our site is visited most in Houston for the word Tattoo. Also we have optimized the site and once you are a sponsor then we will meta tag you into all of our mainframe in all of our networks. We Just won Citysearch Hostons Best tattoo and piercing studio for 2010 for our first year! We Are predominately seen by the entire south and ALL of Texas sees us . type in best tattoo studio in the world. We have most of the most searched items optimized into our sites and pages with content keywords that spiders grab as they crawl our blog since google owns blogger it will pick up blogger posts faster than most and we continually update our sites to keep them fresh in the browsers search engines. We have all the bases covered and we can also set you up to see how much traffic actually leaves our sites to you. This is not just trading links ,you will be in all of our search engines submissions. If you just want to try it out for a month it will be 100 bucks. I can also design your listing if you are not good or need an ad made for your space. Do you sell supplies? You know how many tattooers look at our site a week? Do you sell tattoo clothing or art? You know how many activists we have visit our site seeking tattoo related items or services daily. Do you offer laser removal? we will allow you to be on our page as well. Do you sell healing agents ? we will allow you to advertise. This is the latest Press release on us.